As radio continues to expand delivery of its content and information across various platforms and devices, the way listeners engage changes. Radio has always been an easy medium to use and technology has made it even simpler to tune into. With tablets and smartphones, via apps and streams, listeners can take their favorite radio station with them wherever they go. Latinos are digitally savvy and avid tech users. This may be due to the Hispanic population being younger than the general population. But how does digital aptitude impact radio listening? As is the case with the U.S. general population, the use of digital enhances broadcast radio listening among Hispanics. 62% of Hispanics tune into radio via a stream, site or some other form of online tool, according to an online survey released by Audio.ad – a digital audio ad solutions company that works with brand and content producers in the U.S. and Latin America. Among the survey respondents, 24% of 18-34-year-olds listen to radio online using a multitude of devices, compared to 30% of 35-54-year-olds. This represents a slight shift from their 2016 survey, where the split was 39% versus 32%, respectively. 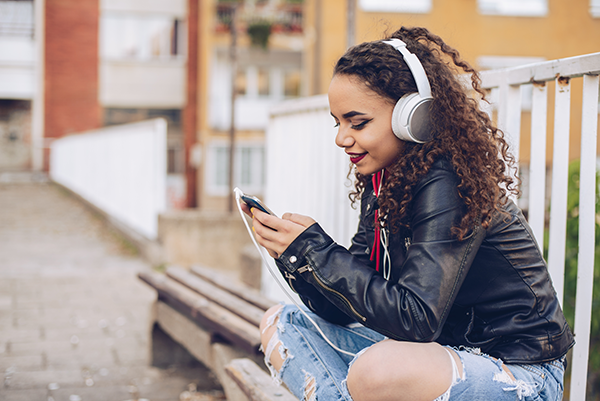 While 61% of Hispanics listen to audio content daily, 49% listen to online radio on the way to or while at work, and 32% listen in during PM drive or evening – mirroring overall broadcast listening habits. We know that broadcast radio is an important part of listeners’ daily lives and it also plays an important role across platforms – 60% view online radio as an important part of their day. This suggests that radio is not just viewed as a device but as an environment that listeners want to be a part of. Radio influences behavior. Studies and case studies prove that and it’s no different among Latinos. 52% of Hispanics stated that they engage and interact on social media platforms while listening. 69% of those surveyed purchased a product advertised on radio, according to the 2016 survey while 62% stated they purchased 2 to 10 products in the most recent survey. Radio across broadcast and digital platforms is an effective multicultural and multilingual medium. As you’ve read here before, regardless of language, race, ethnicity or gender — RADIO MATTERS. Radio is universal in everyday life and while the word radio is universal, how we define radio is very personal. How do you define radio?